The production succeeds in creating moments that are alternately dramatically tense, uneasily sympathetic, and hysterically funny. Through it all it, Take Me Out remains an unconventional, sincere, heartfelt ode to America's pastime. Why See Take Me Out? Following a critically acclaimed West End debut, American playwright Richard Greenberg's fascinating look at the pride and prejudice prevalent in professional sports garnered much critical acclaim during its Off-Broadway and subsequent Broadway runs in 2002, going on to win the 2003 Tony for Best Play. 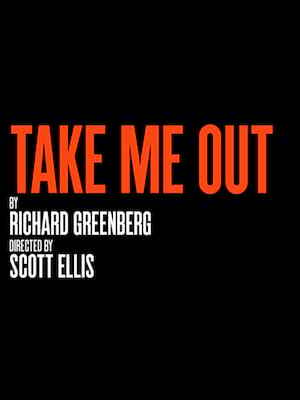 Its subject matter more poignant than ever, Take Me Out is lovingly revived as part of Second Stage's 2019/2020 programming, ending the season with a real home run. The play's title has several meanings - 'take me out to the ballgame' and a reference to coming out of the closet. Greenberg's clever titular twist collides his obsessive love of the popular American past time with the very real and emotional journey of one player's decision to come out to the world as homosexual. Exploring the ideas of destiny, individual responsibility (the idea that human beings choose, instigate or cause their own actions) and the tragic mysteries of the human psyche, the play's author casts them through a lens of the sacred mundanities of everyday life with a wry sense of humour. What Is Take Me Out About? Taking place primarily in a men's locker room, Take Me Out chronicles the aftermath of Darren Lemming's public coming out of the closet. A mixed-raced national hero/star center fielder for fictional team The Empires, Lemming finds the reception to this news both on and off the field is fraught with previously unaired intolerance and discrimination. Even his own friends are confused and afraid, and amidst growing frictions and confrontations, Lemming and his team struggle towards a champion season and a foreboding sense of doom. Seen Take Me Out? Loved it? Hated it? Sound good to you? Share this page on social media and let your friends know about Take Me Out at Helen Hayes Theater. Please note: The term Helen Hayes Theater and/or Take Me Out as well as all associated graphics, logos, and/or other trademarks, tradenames or copyrights are the property of the Helen Hayes Theater and/or Take Me Out and are used herein for factual descriptive purposes only. We are in no way associated with or authorized by the Helen Hayes Theater and/or Take Me Out and neither that entity nor any of its affiliates have licensed or endorsed us to sell tickets, goods and or services in conjunction with their events.